Many companies will improve their security by shifting to the cloud because, in most cases, they're working with providers that make security a top priority. But, what about the liability? Liability is a shared responsibility between the cloud provider and its customers. Both sides have to be aware of security to prevent a breach and it may not always be clear who is at fault when there is a security failure. When it comes to the insurance policy, the good news is that insurers now do a fairly good job of recognising what constitutes the cloud. Most cyber insurance policies include a third-party network that you have contracted with to support your company. So, if a breach happens, the policy will respond regardless of where the data was stored. But there are still questions about whose responsibility it is. There are lots of misconceptions around the cloud and liability because many companies assume that they have transferred their risk when their data is in third-party hands. The reality is that in most cases, there's very little protection in terms of liability with cloud providers. The first thing to understand about a cyber breach and the cloud is that the legal obligation rests with the company that initially accepted the data. Cloud providers have limited their liability and since the damages are generally restricted to direct costs, they would not cover all aspects of a breach. I.e. the cost of responding to regulators or dealing with customer lawsuits. A good cyber insurance policy will cover those costs, as well as the direct expenses related to dealing with a breach. So having your own cyber insurance is critical to addressing the entire exposure of a breach. Even if you have your own cyber insurance, it's a good idea to request the cloud provider to obtain their own cyber coverage to help fund a loss. They might be more willing to compensate you if the costs are not coming out of their pocket, and their contribution can help fund the excess costs if your cyber insurance limits are insufficient. This is something you can and should negotiate with them before becoming a customer. Another consideration worth noting is that if you rely on a third-party to transact business for you, and a security failure shuts them down, many cyber policies won't cover the resulting loss of profits and extra expenses. If this is a real exposure for you, look specifically for Business Interruption cover or speak to your Broker to be fully protected. 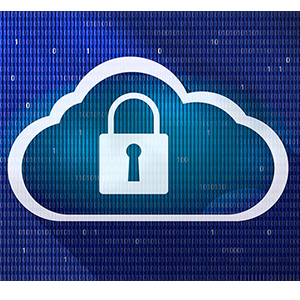 A data breach claim for a cloud provider is in reality a Professional Indemnity (PI) claim. In most cases, the cloud provider has no direct liability to the individuals whose data have been breached. However, there may be a claim from companies that use them as their cloud provider for failing in their performance of services (in this case, keeping the company's data secure). Cloud providers need to make sure that their PI policy will respond to cyber-related claims, because a cloud customer may demand to be compensated for direct and third-party (liability) costs incurred as a result of the breach. For example, a customer may say it cost them millions of pounds to deal with notifying their customers about the data breach, or that they lost business as a result of the provider's failure. Keep in mind that even though a cloud provider contract limits liability, it's not clear how successful this contract would be when it's time to pay a claim. If the cloud provider is truly negligent, the court may decide that the liability limits on the contract will not apply. Insurers don't worry about A policy for the cloud provider, it's the threat of a single breach impacting multiple customers of the cloud provider. If an insurer writes 10,000 policies for customers of one cloud provider, and every single one of them makes a claim because of a breach, that's an aggregation problem. This is a challenging unknown because the exposure is not something insurers can easily map. In property underwriting, for example, insurers can analyse their aggregated exposure to floods by post code. Cyber underwriters are starting to ask more questions about the number and type of cloud providers their clients are using, but the data is largely anecdotal so far. We fully expect insurers to figure out how to analyse their exposure on cyber policies and the cloud. Eventually, this could lead to limitations on insurance capacity, and insurers may decide that they can only handle a certain number of policies for customers of each cloud provider. In conclusion, the cloud has provided extreme efficiencies for businesses and in many cases, improvements in security. Cyber threats continue to be a growing issue and add some complexity to the insurance and risk management decisions. The bottom line is that when storing data in the cloud, your best bet is to ensure the risks are managed just as tightly as if you were storing it on your own systems.